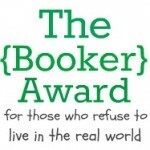 There are a LOT of book bloggers out there, and I think it’s fair to say that most tend to be female students and post-grads who prefer to read young-adult fiction. Or at least, the bloggers I personally follow lean toward that genre, and who can blame them? Oftentimes, YA delivers stories that are more developed and complex than adult genre fiction, and YA dystopia in particular exploded after the publications of The Hunger Games and Divergent. I would argue, however, that all modern dystopia owes its success to authors, such as George Orwell, Ray Bradbury, Aldous Huxley–and more recently, to Margaret Atwood. Seriously, I have met this woman in person, and I have to say–if you have not read one of her novels yet, then what the hell are you doing with your life? 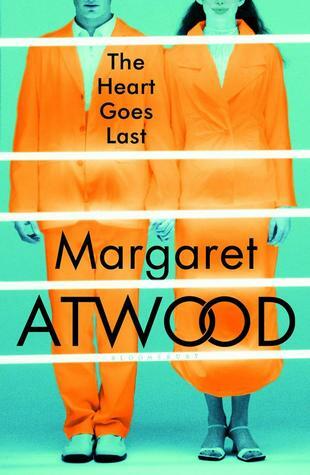 The Heart Goes Last is not my favorite Atwood novel (nothing will ever beat The Handmaid’s Tale, in my opinion), but it is an excellent dystopia with a premise that is becoming increasingly more likely, especially in the Bay Area where housing prices are skyrocketing. The novel stars married couple Stan and Charmaine, who are unemployed and living out of their car after a major market crash left 40% of Americans without jobs. After fending off street gangs and facing the idea of an even bleaker future, it’s no surprise that they decide to join The Positron Project, in which they are provided free housing as long as every other month they live and work in a prison, alternating with another family that occupies the house while they’re doing time. If you’re wondering why anyone would sign up for a project this strange, then I bet you’re not living in San Francisco, where the median 1-bedroom apartment rents for an astronomical $3,590/month and people are illegally living in trailers, storage containers, and even coffin-sized pods just to get by. As with every dystopia, once starts off sweet eventually turns sour, and Stan and Charmaine are confronted with grave danger when they meet their Alternates. I won’t give too much away, but this book asks extremely difficult moral questions about how far you’d go to save your own skin. What’s more interesting than the nefarious plot (which I felt could have had higher stakes) is that the core of this story is a lackluster marriage. It may take place in a “timeshare prison,” but the real issue is that both characters feel sexually frustrated after years and years of neglecting their relationship. When my book club discussed The Heart Goes Last last week, we all agreed that we enjoyed putting ourselves in this couple’s shoes and determining what actions we would take if caught in the same predicament. Some felt that the plot was too slowly paced in the beginning, and others were disappointed by the ending, but overall we would definitely recommend the book. I’m proud that I’ve successfully persuaded more people to appreciate Atwood’s writing as much as I do! Hail to the Queen! Margaret Atwood is Coming! As I announced yesterday, I’m tackling my 2015 goal of attending more book signings with a vengeance, because in nine short weeks, I will be meeting the one and only Margaret Atwood! Yesterday morning, I woke up to a gift in my inbox: an invitation from Kepler’s Books & Magazines to an exclusive event starring the renowned writer of The Handmaid’s Tale and The Blind Assassin. As excited as a kid on Christmas morning, I immediately whipped out my credit card and purchased my ticket, which only cost $25 for general admission. I’m flabbergasted that I have the chance to meet one of my most admired authors for such a bargain. 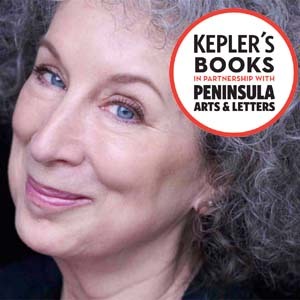 Thus, on October 12th at 7:30 p.m., Margaret Atwood will be stopping by the Fox Theatre in Redwood City, Calif., to discuss her latest novel, The Heart Goes Last. Visionary as always, Atwood imagines a setting that isn’t as implausible as we’d like it to be, one that will resonate particularly strongly with residents of San Francisco and Silicon Valley. In The Heart Goes Last, she chronicles a recently unemployed married couple trying to stay afloat in the midst of an economic and social collapse, are living in their car, leaving them vulnerable to roving gangs. The Positron Project in the town of Consilience seems to be the answer to their prayers. But this is Margaret Atwood we’re talking about here… And with each passing day, Positron looks less like a prayer answered and more like a chilling prophecy fulfilled. I would love to have my book club read this novel once it’s published in late September, so that we can make this book signing our own little field trip! If you’re in the Bay Area and would like to join us, click this link to purchase your ticket. This is a once-in-a-lifetime opportunity, so don’t let it slip away!